I spotted Solveigs RED yesterday- I so wish I was rich!!! Yees)) She wil be sold, it's 3 bids now.. it's ok. 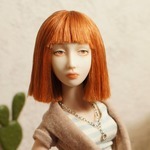 I don't like resin dolls..
Good luck with the sale solveig! I wish I could bid!! Perhaps we will be lucky and another forum member will buy her so we can still see pictures! a very RARE ebay find: a delicately carved porcelain Angel Egg doll! She's very cheap now, but it won't last I'm sure. I hope someone from the forum buys her! She has only 19 hours left!! What a lovely doll! 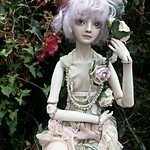 www.ebay.com/itm/OOAK-Porcelain-BJD-Ball-Jointed-Doll-Anastasia-by-Tania-Ch-/261949090703? The detailing on her costume is really well done! 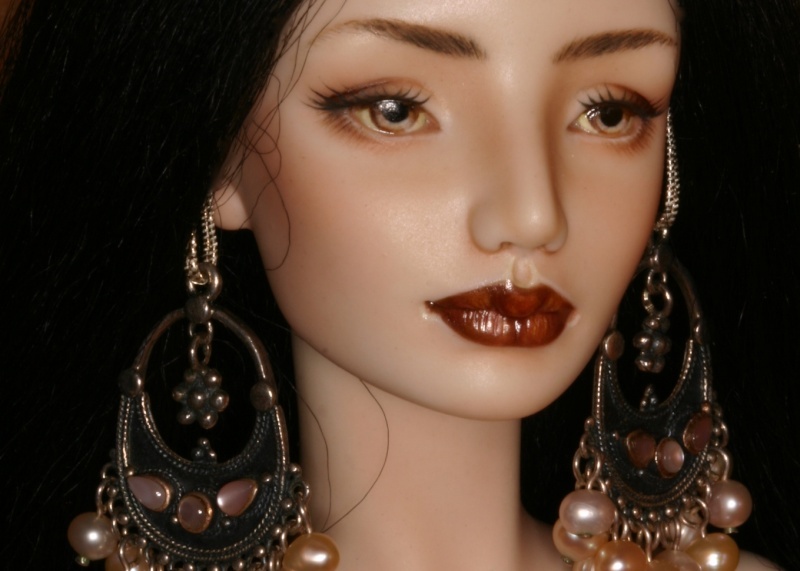 She's pretty, I've never seen this artist's dolls before. I love the beadwork on the bodice of her gown! I saw that!! A very rare find. I also saw that. She is very cute. Strange though, she didn't get any bids. Was the starting price too high? I dunno, I really thought she would sell. What a odd resale market.